Speak Asia online reeked of a scam even when it first started and if you check out the Google search results, for the period of April May 2011, when the company’s advertising campaign had reached a crescendo, you will find many items, blogs, and groups calling it a scam. There are many who actually carried out a detailed online investigation and suggested why the company and it’s offering was a scam. During the IPL, the authorised channel was continuously barraging the viewers with Speak Asia ads. Not only that, even the Times of India carried an advertisement for the company. See it at Here I am certain many other media companies also carried the advertisement. The question which goes a-begging is that why is the media allowed to run ads for any company without verifying the credentials of the business they are carrying the advertisement for. Just a fine print of requesting the readers to verify the credentials is not sufficient. If thousand or lakhs of investors have been duped of crores by this company, the media which carried the advertisements, i.e. helped in the promotion of the fraud, are actually accomplices to the crime, if it is one. Remember Home Trade. Is it not a social responsibility of the media to investigate and blow the lid off such scams aimed at looting of the masses? But here it is working the other way round. The media is actually helping scamsters and fraudsters to loot people by promoting their ventures. Even now, when arrests have been made in connection with the purported scam, why is the media still carrying advertisements of the company, helping it to build credibility and garner public attention / sympathy? For the last two days Times of India has been carrying advertisements for the company. I am sure, so are the other newspapers. How many individual accused are allowed to use the media to justify their innocence in such a public manner? This gives a whole new meaning to the term, “Trial by Media.” The media acted as a promoter first and now has taken on the onus of the defence. Many of them are now going to respond with a freedom of expression thingy. Don’t believe it, at all. Someone’s got a stake large enough to have the motive to bail the company out. Someone powerful. The photograph shows the COO of Speak Asia Tarak Bajpai after his arrest. Does his expression show any signs of a man who is scared or ashamed of his arrest. 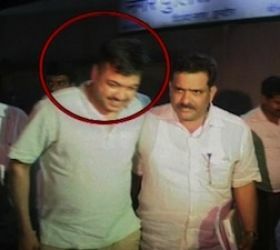 He is grinning, just like that Haryana Police Officer SPS Rathore accused and convicted in the Ruchika Girhotra case. It just goes about to show how the politicians, bureaucrats, rich businessmen and the media join hands to loot the public. The investigative agency has already stated that it may not be possible to recover any of the monies. Today’s news reports indicate the scam could be well over Rs 8000 Crore. Maybe they decided it was enough and they could close down the operations officially by letting the tardy, slow legal system take charge of burying the company. Let us wait and watch how many big names tumble out of this closet. Is Modern Day Communication Destroying Potential Leaders? There was a time when the King, Minister or the supreme leader gave a task or objective to a team leader, and then relied completely on him/her to not only pursue the objective with full determination and sincerity but also to take care of the surprises, opportunities and threats enroute for the best of the cause. So once the team and hence the team leader was out of earshot, he was totally independent and it was entirely up to him to prove himself save, a little bit of help from subordinates, if he was fortunate. There were many instances when situations threw up leaders, at times totally unexpected ones, who seized the opportunity and proved their mettle. It was a kind of nature’s law, in line with the survival of the fittest, that the leaders got their chances and the ones with the leadership qualities outshone the others in demanding situations. Cut to present day. There is but one leader. The head honcho. Everyone else does what the he desires. Delegation of responsibility has taken a different meaning altogether. Initiatives and decision-making are generally snubbed and where allowed are only under prior intimation and strict supervision. And all this is possible, to the delight of the ‘Boss’, only because of communications. Call it an obsession or the fear of failure but bosses all over the world are reluctant to allow their subordinates the option of developing themselves as leaders. Let us look at the ways the bosses (mis)use the communications available to them to suppress any leadership talent which might be just waiting to flourish. Give me a call when you reach there Quite clearly the boss does not want to go there himself but wants to be sure that no wrong decision is made. While he trusts his subordinate to see and report correctly, he does not trust him enough to allow him to take a decision. The cell phone makes it possible. Why don’t you mail it to me The boss wants to be sure of what is happening. The subordinate’s word is not enough. He wants to see it himself. Maybe the dolt missed out something. The email makes it possible. Why Don’t you just Google it The boss thinks that the subordinate’s experience and knowledge stands for nothing. If Google confirms what he says, maybe that would be the right decision. Google makes it possible. Make sure he faxes a signed copy Once upon a time a word used to be enough, but now even if a subordinate is getting a signed copy himself, the boss still wants a signed copy faxed to him just so he can use the telephone number as evidence at a later date. Facsimile makes it possible. Call my friend and ask him what he is doing The friend may be personal or professional but since it is possible, why not just ask him. He is a smart guy, and still surviving, must be doing something right. Yes sure, Vasco Da Gama would have probably discovered America again. We are under heavy fire, what do you want us to do? Consider Normandy. Any dolt will know that when one is under fire, one should fire back. But in these days of telecommunications one is supposed to take permission to consider saving his own life. Modern communications make this possible. We all keep talking of development of employees, but, the fact is that over a period of time the independence of the employees has been reducing. Bosses do not allow people to be independent. While it may be very good for a company and the boss, that all actions and decisions are taken in a controlled environment, for the subordinate, it is probably the worst thing that may happen, as far as his own development as a leader is concerned. He learns never to trust anyone. He learns that no one is OK. And he learns that, for his own good, he must never delegate responsibility to anyone. The worst outcome of this entire situation is the mentality, which sets in people’s mind, that one need not even be good enough to be a boss. The previous boss was a twit and so can I be. It is high time people realized that communications are to be used for a purpose higher than just controlling subordinates. So many, would be, leaders are constrained to show their worth in a competitive world just because of the perception that a wrong decision is going to be fatal(?) for the company or the boss. Employees ought to be given a chance to show their true worth. The best ought to be allowed to come up rather than the sycophants. But if one does not allow the circumstances to decide the best one, the only way one can choose is based on who brought the best wine to the party. It is high time the managements of large business entities showed a way to the others by entrusting their faith in the manpower, by giving opportunity to people and developing what I feel are the leaders of the future. Football fans all over are looking forward to watch Copa America Finals live. Lot of other people across the world would also be watching the match for a chance to watch Larissa Riquelme live, living up to her promise. The world is keeping their eyes on the Copa America 2011 finals for reasons beyond just the game. Copa America 2011 Finals will be played out on Sunday, the 24 Jul 2011 between Paraguay and Uruguay and irrespective of the result, history will be made. If Uruguay wins, this would be their 15th win and they would become the most successful team in the history of Copa America. Currently they hold the record of 14 wins with Argentina. If Paraguay wins, this would only be their third win, but they would be the first team to lift the cup without a win on the road to finals. Yes, they have not won a single game so far during the regulation or extra time. The two games that they actually 'won' ended in penalty shootouts. If they win the final also on Penalty shoot out they would end up with a clean slate. The other reason the world is watching the finals closely is for seeing if Larissa Riquelme, Paraguay's most famous fan, gets a chance to fulfill her promise of stripping for the team and whether she actually delivers on her promise. Uruguay are the favorites in the final match up and have clearly played much better than Paraguay has so far. But then it could all boil down to the tactics the teams employ in the finals. Reaching finals of a major tournament without scoring in the regulation time is also in a way a major achievement. Talks a lot about the defense the team has. The tactics employed by Paraguay could have been a result of a , "Better Safe than Sorry" mentality, especially when a team is playing against the likes of Brazil and Venezuela. In the finals, being the last game, we could see Paraguay turn tables and return back to the offensive play that they actually prefer. Uruguay has Suarez who is the top scorer in the tournament and Perez comes back into the team after missing the semi-final. Uruguay also has the past supporting them having beaten Paraguay in the last two times they played each other. Paraguay on the other hand are playing the Copa America finals after 32 years. The final is being played at the Monumental stadium at Argentina at 3:00 PM Eastern Time. Paraguay: Justo Villar - Marcos Caceres, Dario Veron, Paulo Da Silva, Ivan Piris - Edgar Barreto, Nestor Ortigoza, Christian Riveros, Marcelo Estigarribia - Lucas Barrios, Nelson Haedo Valdez. Uruguay: Fernando Muslera - Maximiliano Pereira, Diego Lugano, Sebastian Coates, Martin Caceres - Alvaro Gonzalez, Diego Perez, Egidio Arevalo Rios, Alvaro Pereira - Diego Forlan, Luis Suarez. Google has been trying hard to create a social networking interface similar to Facebook, or even better. It started off very shakily with its Wave, which didn't really hit a chord with the masses and later the Buzz too failed to create the "buzz". The latest social networking project thrown up by Google is the Google Plus or Google +. Google Plus was released last month on a trial basis to see the response of the people, and to its surprise, it had generated 20 million unique visitors in just three weeks since its release out of which 5 million users are from the US alone. This data was released by the research firm ComScore. It was just a week before that the Google CEO, Larry Page had reported Google + to have received 10 million visitors with lots of activity taking place on the site. "It is definitely the fastest ascent to 20 million visitors that I can think of," Andrew Lipsman, ComScore's vice president of industry analysis, told the Los Angeles Times. The Google + was launched late last month, and it seemed as though Google was in a great hurry to overtake Facebook or at least give them stiff competition, or something to think about, as it did not bother with going through the "Beta" phase at all. It started off by sending out invites to a select group of people, who then were allowed to invite in their friends and families to interact on the site. There are still lots of people vying for the invite, me included. It is kind of similar to the way it introduced the Gmail facility. Of course, Facebook is way ahead in the amount of users that it has with 750 million at present, so Google Plus still has a long way to go. But the numbers for just three weeks to hit the 20 million mark is still impressive. And the site continues to expand its user base as more people sign up. 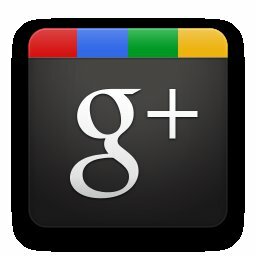 Google Plus has some very attractive features where sharing and making circles of friends, acquaintances and colleagues are concerned. There is also photo sharing, a place to hangout and also hold video chats with selected friends. It also has feeds that you can select according to your interests. If seen broadly, all these features look exciting, but wonder of they will really prove to work the way it is supposed to. The Google + Project is still in the "limited Field Trial" phase and so it is still in the process of working out the kinks according to the feedback generated from the users who are already signed in. Recently, Facebook had banned certain Google ads from its site without giving any reason and also blocked its account. Can the Google "+" button overtake the Facebook "Like" button? The Google's fun social networking is definitely growing much faster than expected. There are already reports coming out about the negative aspects of the Google + site regarding its usage and privacy concerns. If you want to know all The Good, The Bad and The Ugly of Google Plus then you might want to read this article written by Aaron Strout on Zdnet. I am still waiting to get an invite to try out the Google Plus. Have you tried it out yet? Do you think you would leave Facebook to start "Googling". Are you going to convert into a "Google Buddy"? So exactly how popular do you think this new social networking project is going to be? It's finally here, the much talked about and anticipated movie of the year. The grand finale to a great saga of the wizards at Hogwarts. Harry Potter will finally meet his arch enemy and rival Voldemort in a do or die battle to the finale in the last installment of Harry Potter series namely, Harry Potter and The Deathly Hallows Part 2. Frankly, I must admit that I am no great a fan of Harry Potter or any of the other characters in the movie, or the book and couldn't really follow the story or the plot till the end. Well, who cares? "Ever since “Harry Potter and the Sorcerer's Stone” first came out in 1997, J.K. Rowling's band of witches and wizards have kept a firm grip on contemporary pop consciousness, rewarding Rowling not only with critical acclaim, but also with financial returns to the tune of 450 million copies sold worldwide. and a brand worth in excess of US$15 billion." Read the full review. 13 Jul 2011- Three blasts have rocked Mumbai today at around 1900 hours. The locations were all in South Mumbai. Opera House, Zaveri Bazaar and Dadar. Locations close to each other. According to news sources the death toll is 8..10..13 and counting. They never do give the right number, as if raising the head count slowly over a period of time benefits them. According to news sources, again, the ministry has declared that the bomb blasts were a planned and a terrorist activity. What other kind of activity comprises of bomb blasts? According to the news channels, again, the Chief Minister said that they were better prepared this time than the Mumbai attacks a couple of years back. I don't see the difference, they were caught unawares that time and likewise this time around. How were they better prepared? The people staying in Mumbai know what these three areas, where the blasts took place, are like in the evening. With only 13 reported dead, someone knew how to place the bombs to minimize damage. An amateur, budding, in his diapers, terrorist would have known how to cause more damage if that was the intention. Reminds one of the WTC attacks in US, when one hour later would have resulted in much larger casualties. And that was a conspiracy. The question which goes a-begging is, what is the Government, state or central, trying to divert attention from this time around. Terrorist attack! It is becoming a habit with the politicians to resort to use of bomb attacks for diverting attention from the issues of importance and somehow the esteemed members of our media, the apparent torch-bearers of democracy, almost, always comply. God bless the soul of people who have died and give strength to their family members to cope with the loss. Something which I can only term as collateral damage of governmental survival. If you have read any of my earlier posts on weight loss, you would know by now about my constant struggle with weight and all the weighty issues involved in the whole process of trying to lose and maintain weight over the years. (For those of you who are absolutely clueless and don't know what I am talking about, please take a moment to scroll down to the end of the article to find the relevant links to my previous articles on this topic). After struggling to lose weight and maintain it, only to have gained it back again with a vengeance not just what I had lost but some more, I am happy to announce that I have now finally cracked the secret to losing weight successfully in a healthy manner and what's more, I am doing this all by myself at home without any external help or taking any weight loss medication or tablets. I decided that I had had enough of the weight loss programs that are floating out there, which were all useless and a waste of money. I gained a lot of weight (85.5Kg) last year due to all the hormonal imbalances and other medical issues that I had, and also on account of taking medication for stabilising my condition. The weight gain had its own side effects, like for example I could not bend down to reach my feet, so I found it very difficult to put on a pair of socks or wear shoes for that matter. Come new year, and I decided that enough was enough. I made a new year resolution to lose weight on my own. That's when I started making slight changes to my diet, daily routine and my lifestyle and I am proud to say that since then I have lost about 10Kgs to bring my weight down to 75.5Kgs. (And I am still losing weight). This was my exact weight when all the problems had started. What's the secret? If you are gaining weight, then the most obvious cause has to be laziness or lack of exercise in your daily routine. You probably have a sedantary lifestyle where you have stopped using most of your muscles. Take note of how much you exert yourself physically in the day. How active are you? These observations will lead you to find that you need to add more activity to your daily routine, so that you exercise your entire body. The best and most effective way to do that is by going for a brisk walk everyday. A brisk walk in the morning for 45minutes will do wonders to your metabolism and increase oxygen intake to all parts of your body. Adding a brisk walk again in the evening for another 45minutes will help to maintain the metabolism throughout the night while you sleep as well. Try to stick to your daily routine as much as possible and get some discipline with respect to the timings, especially for mealtimes. Always eat at the same time, as much as possible. Delaying meals or having irregular meals will cause you to gain weight. I changed my daily routine to add a morning and an evening walk initially for a few months, thereafter, I substituted my morning walks with exercises at home that are concentrated on working the full body muscles and toning them. If I feel bored or tired with the exercise routine, I can always go back to taking a walk and then start the exercises again after a small break. You can have two rest days in between, which is also very important to allow your body to recuperate and re-energise itself. This should be pretty obvious. You have to reduce your portion sizes of each meal in order to start losing weight. Eat less, just sufficient to fill your stomach in each meal. Make this the magic mantra to lose weight. Indian food cooked at home is usually quite healthy and have sufficient nutrients. So, I did not have to make many changes to my diet, other than reducing the amount I ate. Of course, one has to make sure that you are eating more variety to include all the essential nutrients in your diet. Since I have a non-vegetarian diet, I get enough of proteins and also vitamin B. The only supplement I am taking at present is calcium tablets to avoid osteoporosis, which is important for women at my age. It is also obvious that you need to follow the other general guidelines to healthy eating, like low fat, no sweets desserts and absolutely no in-between snacks. Yes, that's right. Most of the weight loss occurs at night. This is the reason why you should eat a light meal at dinner and make sure to have it early so that your stomach is light when you go to bed. If you have noticed, most of the diet programs recommend you to have just soups /salads or fruit for dinner. This is easy to digest, fat free and full of essential nutrients. Therefore, I made it a point to start having a bowl of fruit salad (which is simply different fruits cut into small pieces with no other additives) for dinner mostly. Of course, there are times when I do take a meal instead of fruit, but then I make sure that I still eat less. When you wake up in the morining, you will feel fresher and will have lost weight. Check your weight in the morning on an empty stomach. If you keep up this diet, you will notice that you are losing weight slowly and steadily. It is also not very healthy to lose weight rapidly. Therefore, stick to your regime and make sure that you are losing weight slowly over a period of time. However, if you find that you are losing weight too fast, then you are probably not eating enough and this may lead to deficiencies later. Try to lose about 1kg/month. Make sure to maintain your weight in between, if you take a break and still eat the right foods, as far as possible. Remember, you are trying to change your lifestyle for good. So these changes need to be more permanent. You must have heard this a number of times, "drink lots of water". It is true, your body needs a lot of water to remain hydrated and to dilute your blood so that it flows easily to all the parts of your body. This ensures good circulation of all the essential nutrients and oxygen via the blood. Water also helps to flush out all the toxins from the body with the help of the kidneys. This makes your skin look smooth, younger, healthier and glowing. It also helps to clear out your digestive tract so that you have normal and regular bowel movements. Having a glass of hot water first thing in the morning helps to flush out the excess fat from the intestines. You can add a dash of lime to it to make it more effective. I have a cup of hot green herbal tea everyday in the mornings and evenings. Green herbal tea helps to improve the immune system and also decreases the cholesterol levels in the blood, thereby helping to lose weight. The most common reason to put on weight is due to comfort foods. These are foods we turn to when we are emotionally challenged or stressed out. Therefore, its very important to find someone who will support you in your weight loss goals and understand your emotional needs. This person should be able to encourage you to continue with your program and give you the much needed push or motivation to keep going. If you are genuinely happy from within, then you will be able to lose weight faster as your body adapts and adjusts to your moods. So, try to forget all the miseries in your life and concentrate all your efforts in just trying to make your body as fit and healthy as possible. Soon, you will feel a postive change in the way your body behaves with you. A few simple tweaks to your daily routine, your daily meals and your outlook to life can change your life for the better. It will help you not only to lose weight slowly and steadily over a period of time but also to maintain your weight once you have achieved your ideal weight or weight loss goals. Your aim should be to make your body not only slimmer, but to feel healthier, look great and be fit. *Disclaimer - All the tips mentioned in this article are my personal observations. One should get a thorough medical check up and all the routine investigations done before trying to lose weight. Visit your local physician to make sure that you get the correct advise before you start something on your own.